Steal the show! The trade-show that is. Unique table top display stand sits on any table or surface, wrapped with a full color banner to display your message with style. 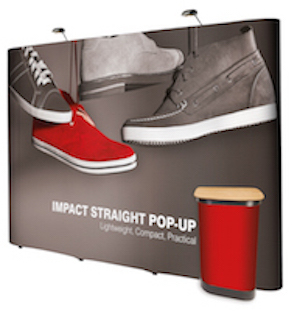 Use the pop up stand to draw attention to in-store displays, or draw a crowd at any high traffic event. Use this one of a kind promotional banner for point of sale highlights or to draw customers to your information table. 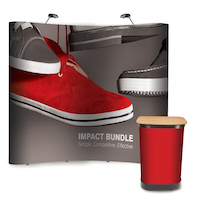 Promotional products are an essential part of your business tool kit, and table top displays could become a key part of your advertising arsenal. 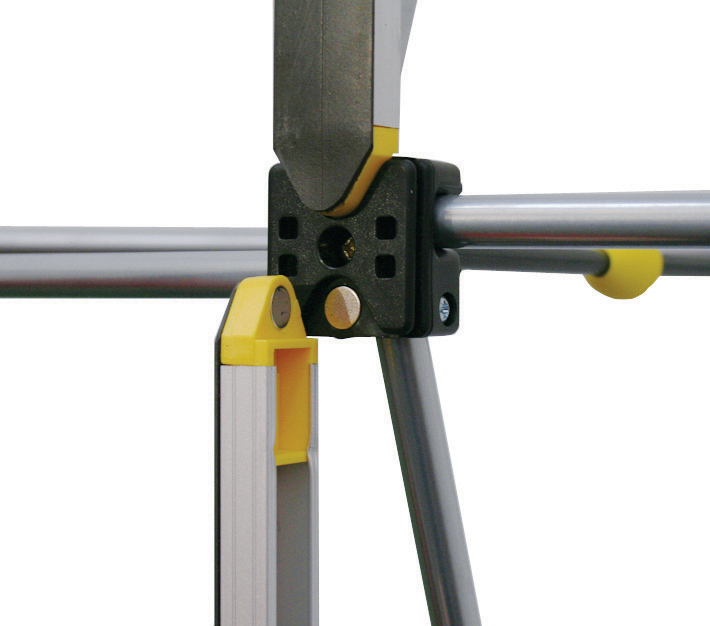 It's easy to order your pop up stand. Browse our pre-made design templates and enter your own details and images to make it your own. You may upload your own artwork files to create a customised design. Our design help section can help you design your artwork for print, as this will ensure that the printing process runs smoothly and improve the quality of your finished design. If you need custom design service, we can assist you in designing a completely bespoke banner for your company or event. Design services incur an additional charge.